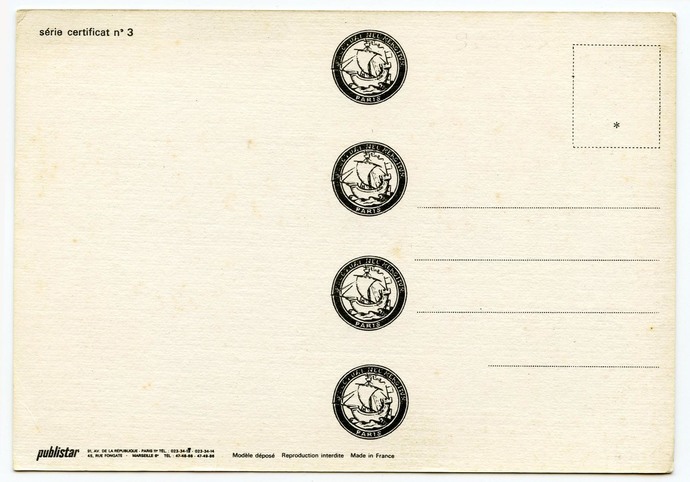 My specialty is antique postcards, so to be honest, I'm not sure how new this modern card is! It could be from the 1970s or from last year. 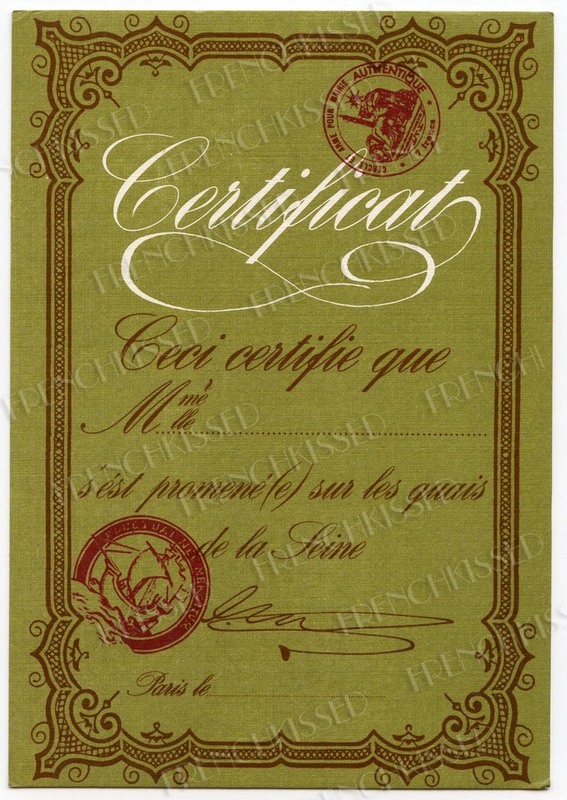 I fell in love with the Art Nouveau design and the message: this certifies that Madame or Mademoiselle has wandered along the banks of the Seine. A lovely linen-like texture, this is the perfect souvenir to use in that travel scrapbook of your trip to France! Please note: the direct scan is closer to the truer colors than the photo taken at a window by natural daylight. It is difficult to get the tones exactly right but the card is a what I would call an olive green (s bit darker/less yellow than what the scan shows) and the 'seals' are maroon. Modern postcard size: about 4x6 inches. Slightest hints of wear on the corner tips, but overall, in fine unused condition. Make the most of shipping costs and buy several postcards for your art/scrapbooking projects. Note that I have 4 of these available.